Xiaomi Launches €80 Redmi Go Phones - Blog Mall Nigeria - No 1 Hub For You! 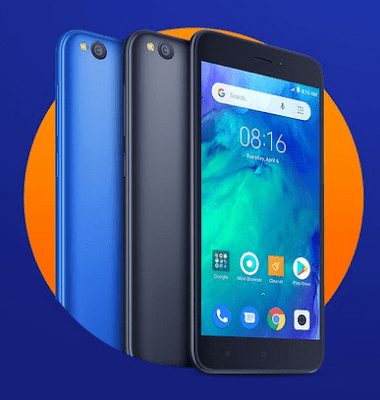 Xiaomi launched the first set of Redmi Go phones that will be available on EuroPe and other markets. The Redmi Go features a 5-inch 1280 x 720 display and is powered by a 1.4GHz quad-core Snapdragon processor said to be the Snapdragon 425. Like other Android Go phones, it has 1GB of RAM and 8GB of storage (with supports for microSD card for external storage). There are reports of a version with 16GB of storage but not yet officially confirmed. The phone has an 8MP rear camera with an LED flash and a 5MP front-facing camera. It runs Android Oreo (Go Edition) and packs a 3,000mAh battery. Other specs not mentioned in the official announcement include dual SIM support, a 3.5mm audio jack, and a MicroUSB port for charging and data transfer. The Redmi Go is said to be priced at €80 and will go on sale in February though there is no specific date yet.